William S. Merwin was United States Poet Laureate in 2010. He’s received numerous awards, including two Pulitzers, for his work as a poet, translator and environmental activist. Over the last 30 years, Merwin and his wife, Paula, have been developing an internationally recognized palm garden on Maui. 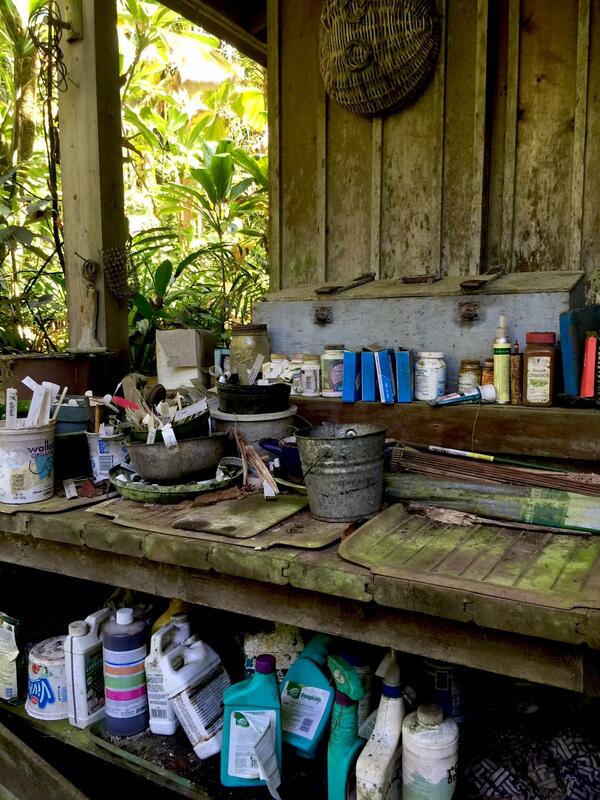 Just recently, the Merwins established a conservancy to ensure the garden’s perpetuation, and they are developing programs to make it a beacon for both environmentalists and artists. 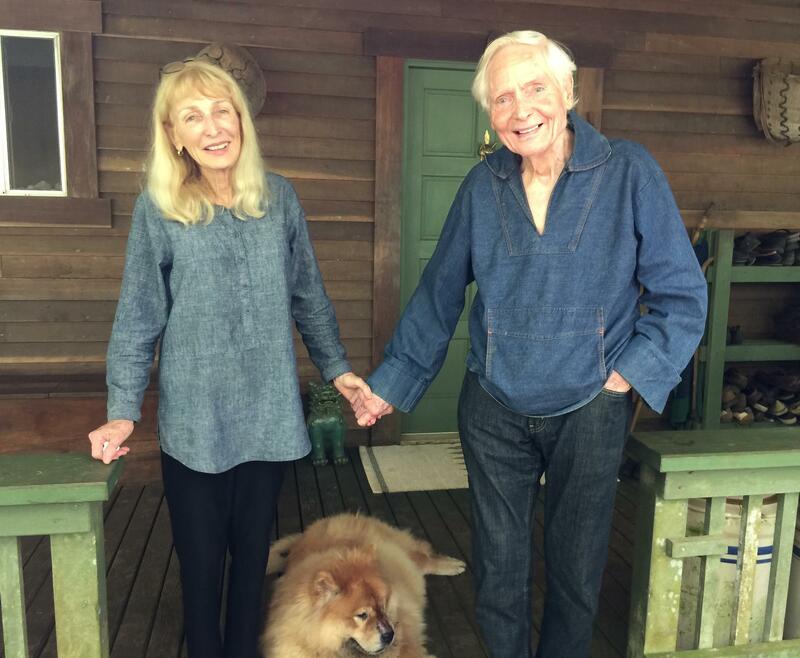 In this radio story, Merwin recalls the voices that first convinced him this particular eighteen acre parcel was to be his canvas, his open book. U.S. 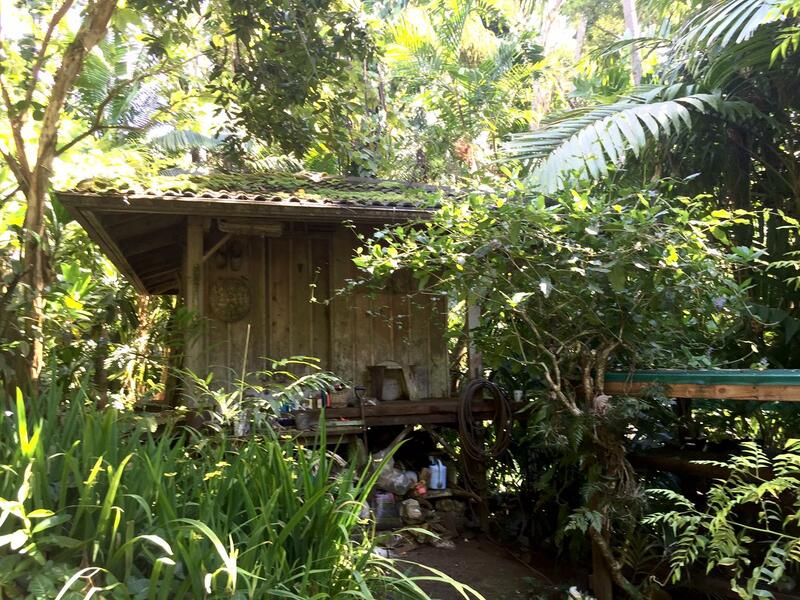 Poet Laureate W. S. Merwin reflects on his relationship with his garden in Peahi Valley, north Maui. A failed pineapple plantation, the parcel is on a steep grade and had been clear cut, scraped, and stripped of nutrients by years of runoff erosion. Sitting near the stream that traverses the garden, Merwin says plovers and a Chinese thrush opened his eyes to possibilities. “What can you do with a place that’s as wrecked as so many places are?” Merwin asks. 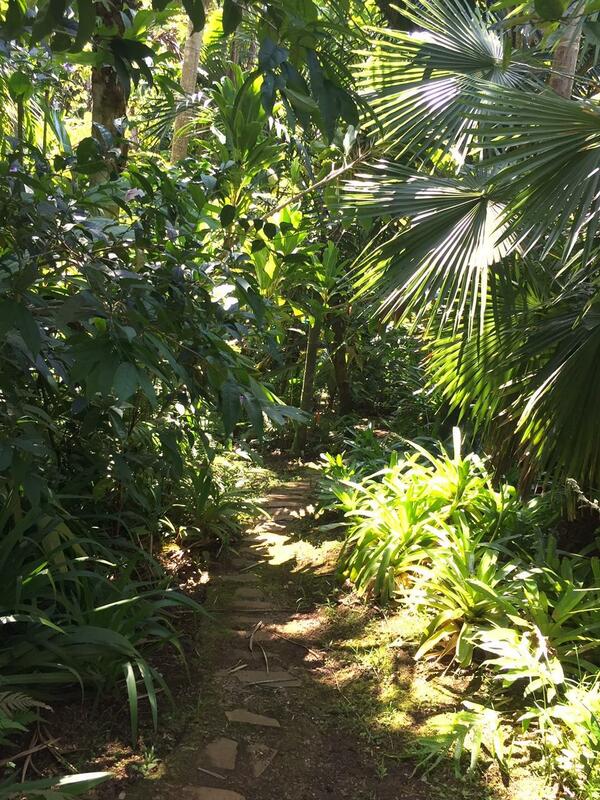 “I always thought, if I ever owned a piece of land, I’d like to restore it.” That’s the idea behind what has become an internationally recognized palm sanctuary, a repository for important palm DNA. A worn path parts the foliage approaching the garden shed, an oasis of quiet industry. The way he did it says so much about being an environmentalist and a poet. He and Paula allowed the land to speak to them; to in fact, determine what is grown and where. In that way, every growing thing exemplifies the soil, light, moisture, breezes, of that particular spot. Merwin, himself, is now such a growing thing. His poems, ruminative of late, are also amazing products of this land. For the online version of this story, I posted pictures and an extended version of the interview. It is not an official part of my submission, but I've included it. below. In this extended conversation, Mr. Merwin goes into more detail about how the garden was reclaimed and developed. He talks about waking, and walking in the garden in the middle of the night, and the mystery that is so essential to our human lives. Well used, would these tools serve to do what Merwin instructs in his 2014 book, "Unchopping a Tree"?